I remember clearly the first time I was really tugged into the world of fantasy. It wasn’t Cinderella, it wasn’t Snow White. In fact, it wasn’t Disney at all. It had a much darker tone than Disney delved into back then. I was nine and although up until then I had enjoyed the fairy tales that Disney spun, they hadn’t hooked me. But then, along came a movie that not only hooked me into the fantasy realm, but actually left a piece of that realm in me when I left. A piece that grew quietly in the background, slowly wrapping its magic fingers around my heart and imagination. Other movies would come, so would books. But this movie, was the one that started it all. Legend. 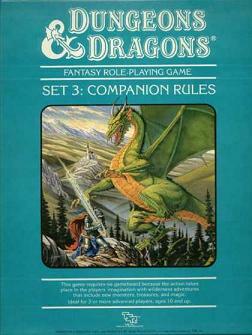 Then, the beautifully created pictures of dragons on my oldest brother’s Dungeons and Dragons books came along. My imagination had many great adventures with the dragons in the pictures. 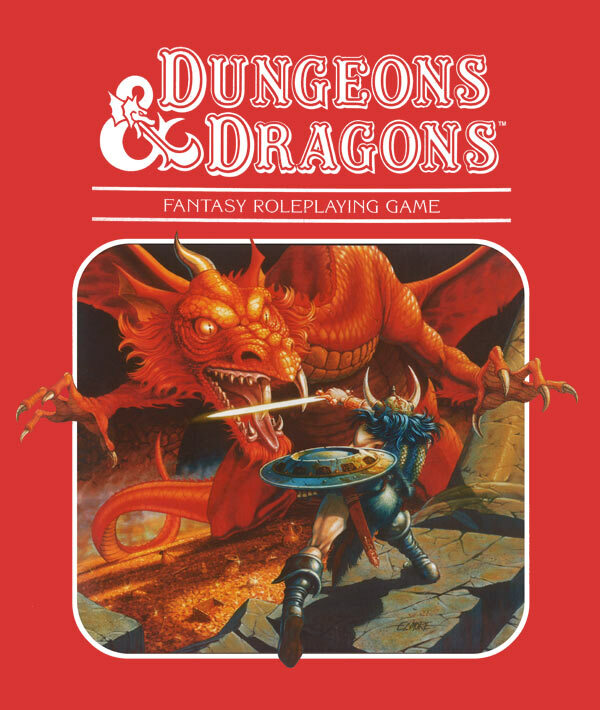 Occasionally my brother would even humor me and let me play, always giving me a little talking dragon as a companion, even though I know no such creature actually existed in the game. 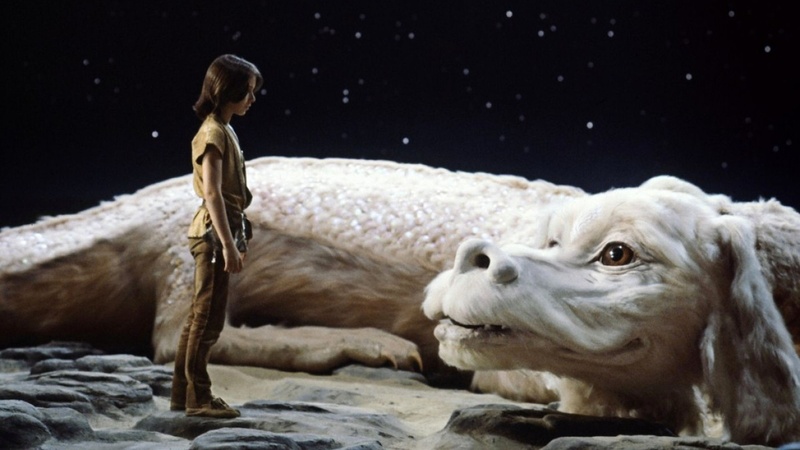 Then came the movie, Never Ending Story and it fanned more flames of fantasy growing inside me. Later, as a tween, I found another treasure. At the time, my mind was consumed with horses. Horses and fantasy. Real horses, unicorns, Pegasus, etc. And one day, there on the shelf at the store sat a book, one who’s cover demanded I pick it up. This story combined my two favorite things in the whole world, horses and fantasy. But not from the view point of humans. No, the whole book was the from the point of view of the animals in it. How perfect, how wonderful! It pulled me over the line into fantasy, a line I have never been able to cross back over. 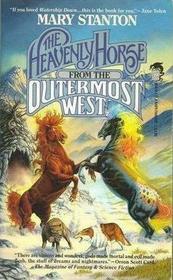 This book was The Heavenly Horse from the Outer Most West (quite a title eh?) by Mary Stanton. And later, she was so wonderful as to write a sequel, Piper at the Gate, which I couldn’t be more grateful for. Then the Dragons of Pern by Anne McCaffrey introduced me to dragons in stories and I was further pulled into world of fantasy. Then Robert Jordan, J.R.R. Tolkien, R.A. Salvatore, and host of others. I owe many thanks to these people for creating such wonderful worlds of fantasy for a young mind to get lost in. For planting the seed of fantasy withing me and for nurturing it by continuing to create new worlds and characters to visit. It was this seed that grew tall and strong and eventually bloomed into an author. An author who’s imaginative roots were so firmly planted in the world of fantasy, that I was able to tell the story of my own world, my own characters, and my own dragons. Never Ending Story changed my life. I didn’t really understand what animated puppet were at that age and had the unnerving sensation that what I was seeing was entirely real. Fantasy has never been my thing but reading your blog made me feel as if I’ve been missing out on something! Thanks for sharing – it’s always interesting to learn how other writers are inspired. Oh yes, you are missing out on worlds of magic, intrigue, dragons, and other fairy tale creatures. Personally, I am very picky about what fantasy I read. R.A. Salvatore’s Drizzt Du’Urden books pulled me into the realm of dark elves. But when it comes to fantasy, other creatures have to be written very well. The Neverending Story was such a great movie. Loved your blog on fantasy! Thank you. 🙂 It is a great movie. Even as an adult, I still like it. Loved this post….and the book covers are gorgeous. « Today, it is Fall!